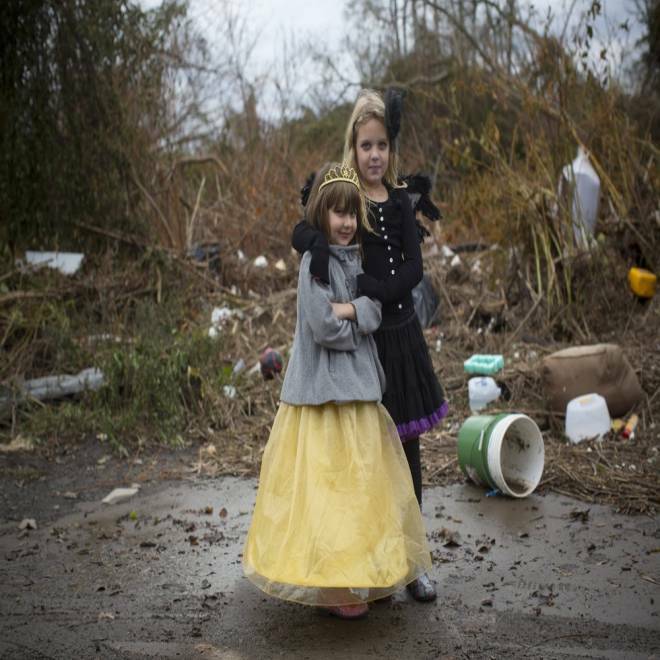 Lisa and Julia Kravchenko pose in their Halloween costumes as they stand in an area ruined by Hurricane Sandy in Staten Island, New York, on October 31, 2012. Mega-storm Sandy played Wicked Witch on Wednesday, postponing Halloween for millions of disappointed East Coast children warned not to trick or treat amid dangling electrical wires and trees uprooted by the deadly weather, Reuters reports. But the lingering effects of the deadly storm didn't stop all the fun, as these pictures show. 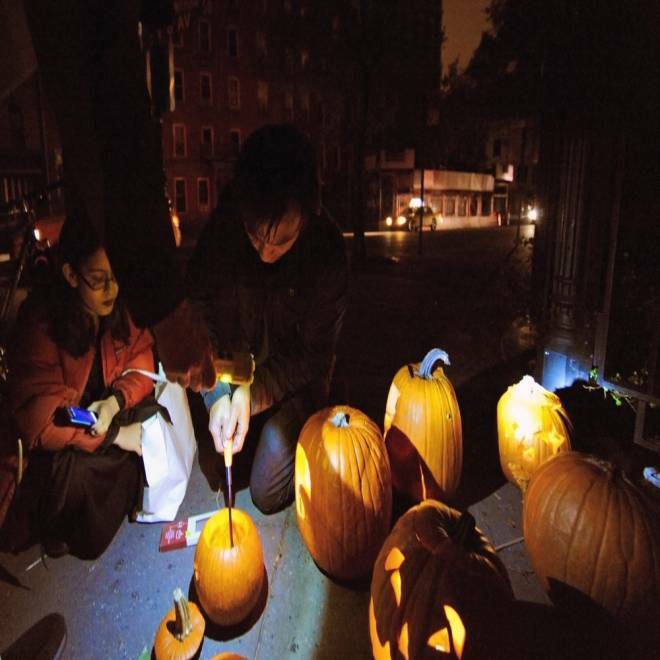 New York City residents light jack-o'-lanterns made from cut out pumpkins on Hudson Street in lower Manhattan, October 31, 2012. Hurricane Sandy knocked out power to much of lower Manhattan and has forced many residents to seek shelter in other parts of the city. 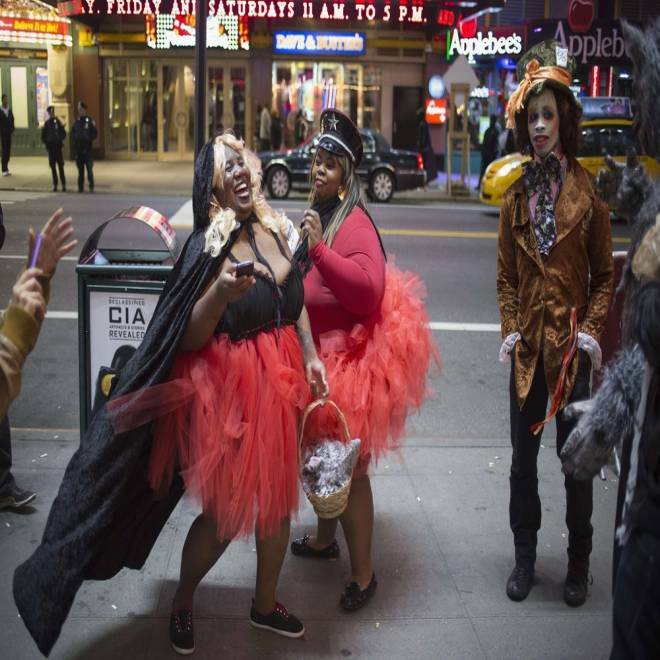 Revellers dressed up for Halloween share a laugh in Times Square, New York in the early hours of November 1, 2012. 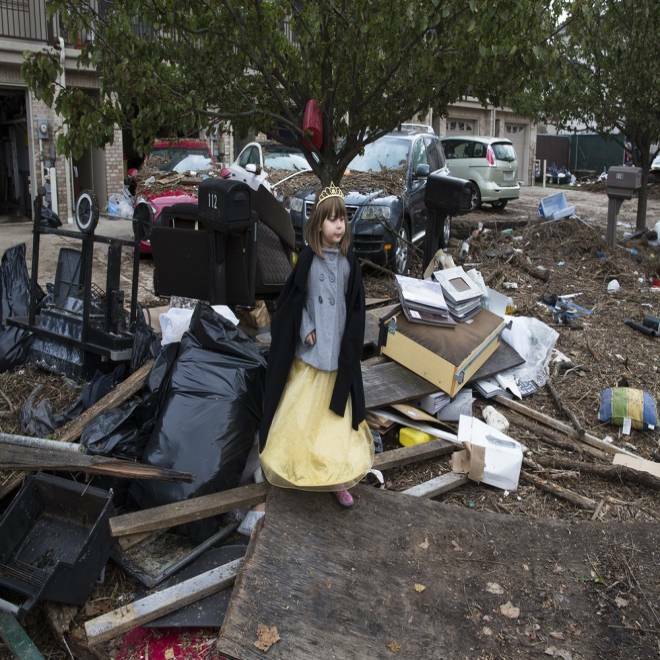 Lisa Kravchenko stands amongst flood debris in her princess Halloween costume on Oct. 31, 2012 in Staten Island. Commuters, including one man dressed for Halloween, cross New York's Brooklyn Bridge on Oct. 31, 2012. We want to see the people that helped you during this time of crisis. Post pictures on Twitter or Instagram by tagging them #NBCNewsPics or upload photos using the form below. Use the caption or Tweet to explain why the person is a hero. Click here for more information.